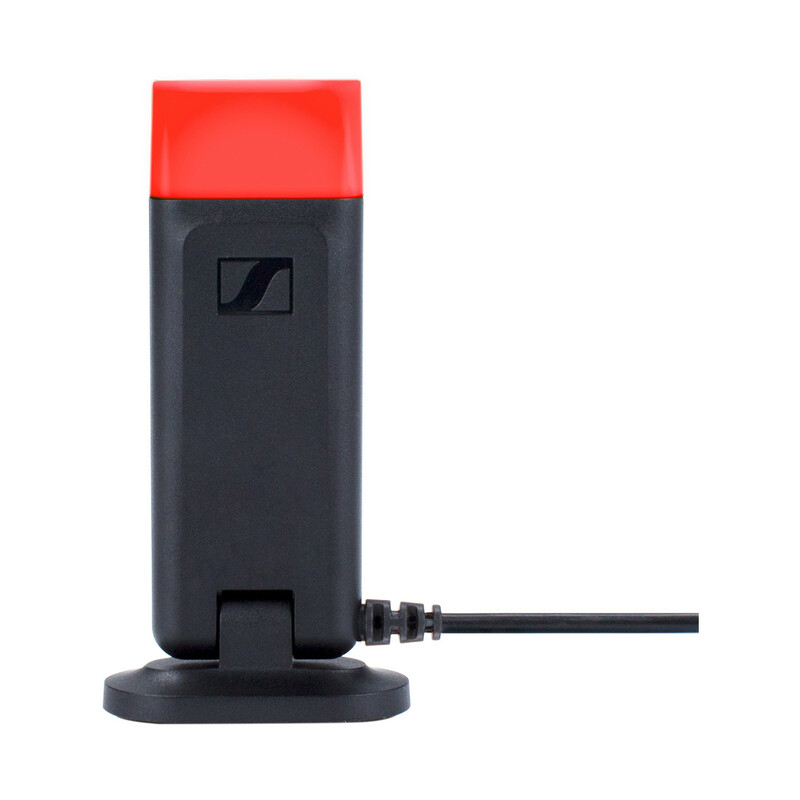 Free Sennheiser UI 10 BL Busylight for SDW 5000 Series SN-507238 with every SDW5016 purchase. *Valid from 15 February til 30 April, 2019. *Valid for Atlas Gentech customers only. Wireless DECT headset with base station. 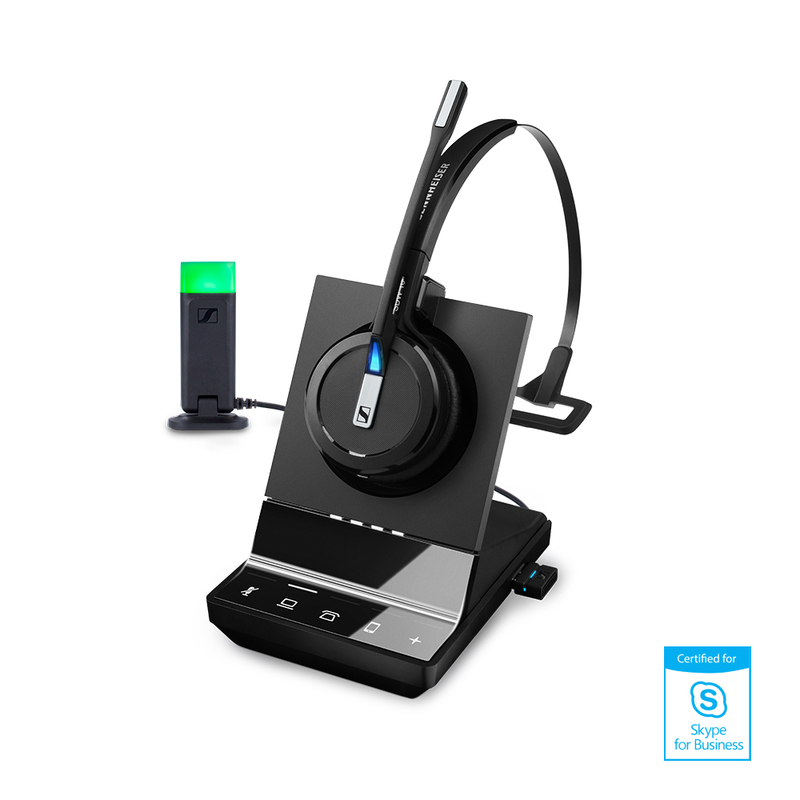 Triple connectivity to desk phone, PC/softphone and mobile devices. UC optimized and Certified for Skype for Business. In busy office environments, where you may be wearing your headset all day long, the flexibility of changing wearing style can enhance long-term comfort. The FlexFit™ wearing style system offers the choice between a headband, ear hook or neckband solution for the perfect customized fit. The neckband is available as an optional accessory. Successful communication is the key to an efficient business. The SDW 5000 Series sets a new sound standard with super wideband audio, offering a sound experience beyond conventional business standards. Two microphone noise-cancelling system and pioneering voice detection technology deliver exceptional sound for improved speech intelligibility in noisy environments. Answer all calls from a single device. With up to triple connectivity for softphone/PC, desk phone and mobile devices. Use the base station as a gateway to your preferred audio sources. 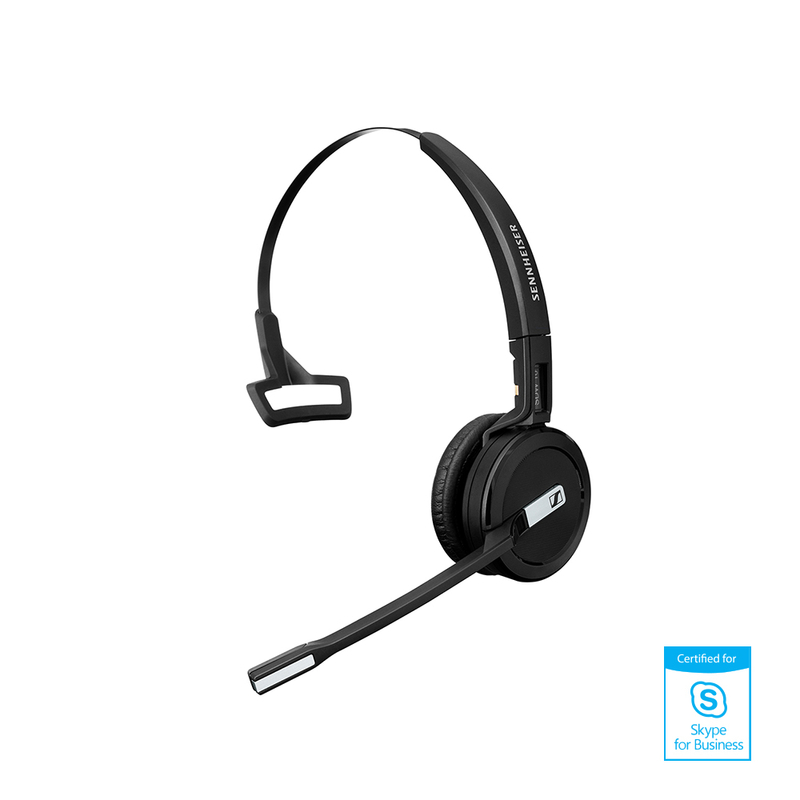 With a choice of three FlexFit™ wearing styles – a headband, ear hook and neckband solution, SDW 5000 series delivers a perfect customized fit. 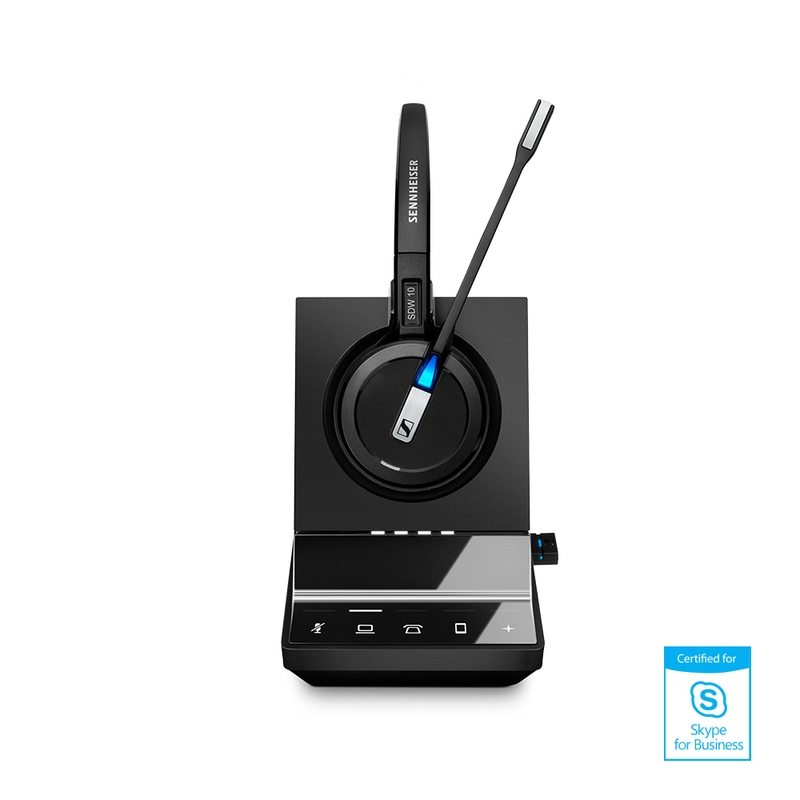 Smart features make seamless collaboration and communication super-efficient as the headset and base station controls deliver easy call management. 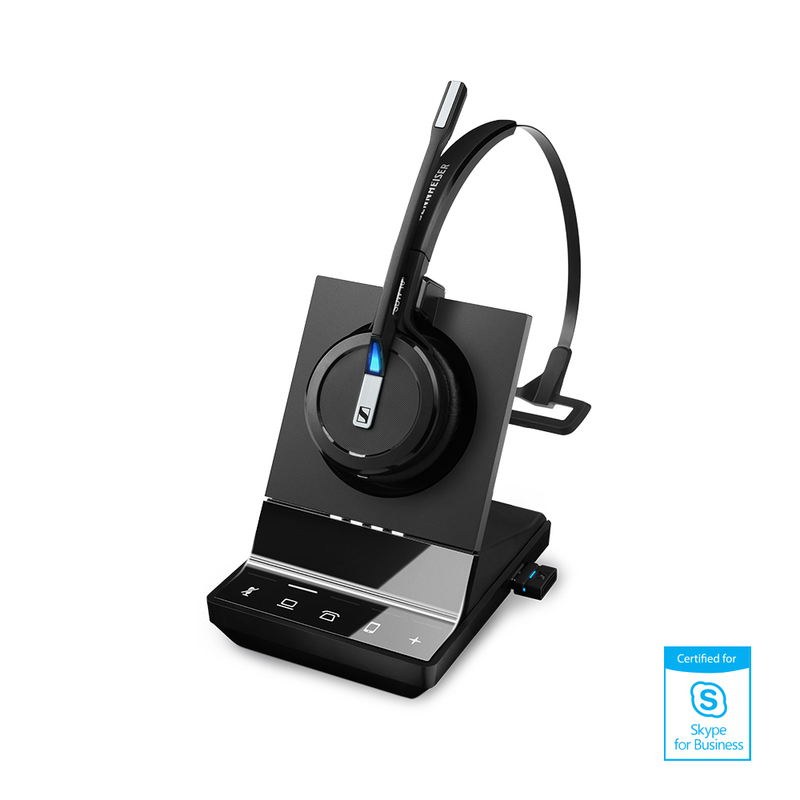 Naturally, the SDW 5000 series is UC optimized and certified for Skype for Business. You can even charge your mobile from the USB port.